Overwatch: Orisa Launch Coming March 21 | Nerd Much? The 24th Overwatch hero is finally arriving in about a week, March 21st, to the wider public. Not just PTR testing anymore, hooray! 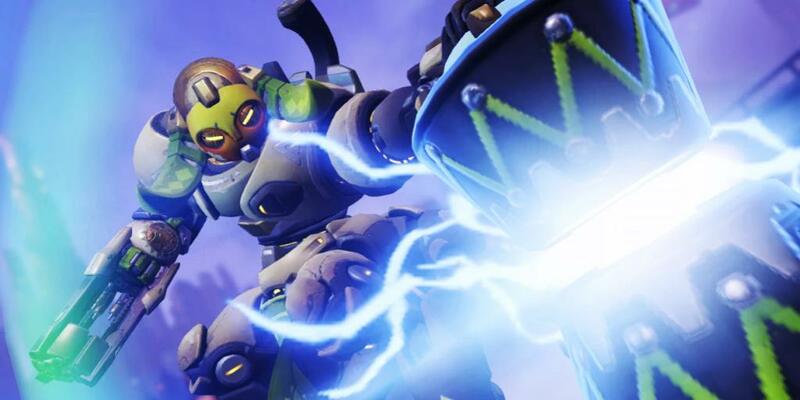 And we’ll be getting Orisa with the recent nerfs to her abilities, which will hopefully make gameplay with her on the team better and not worse. Orisa is quite the tank and will be an asset to any team. Her abilities include the Fusion Driver (her main gun, but it slows her movement significantly), Fortify (a bolstering shield that lessens damage and is no longer slowed down by other effects), Halt (a graviton charge, which pulls enemies towards it before exploding), Protective Barrier (and actual shield that protects her and allies), and finally Supercharger (this increases the damage dealt by all allies within Orisa’s sight). All pretty cool, right? I know I can’t wait to play a match with her. I enjoy Orisa’s back story as well, because it adds more diversity and dynamic motivations to the overall narrative of Overwatch. The diversity, of course, comes from being based the fictional city of Numbani, which is supposed to be placed somewhere in Africa. Dynamic, because Orisa is supposed to be the protector of Numbani citizens, heck even the world, compared the far more shady motivations of other characters, like Sombra. Are you looking forward to playing Orisa? What do you think of her abilities? Let us know in the comments below!